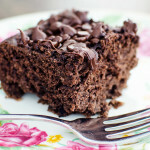 This yummy moist chocolate snack cake recipe couldn’t be easier. You mix it and bake it in the same pan! 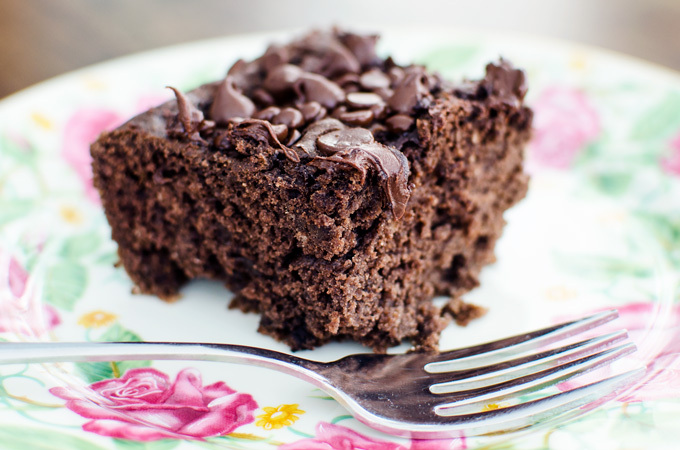 Plus it’s gluten free, vegan, and low in fat – yet full of chocolatey goodness! It doesn’t get much better than that! 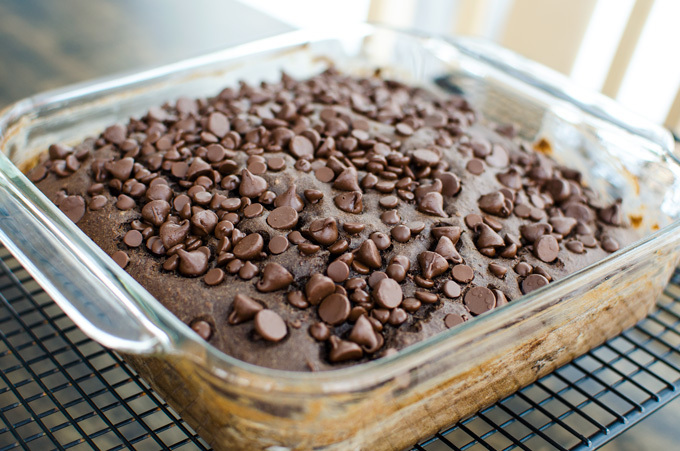 Made with wholesome ingredients, this cake is a guiltless chocolate treat you can prepare in less than an hour! I was wondering if anyone tried to make this without the oil at all. If so did you up the applesauce? Any tips? 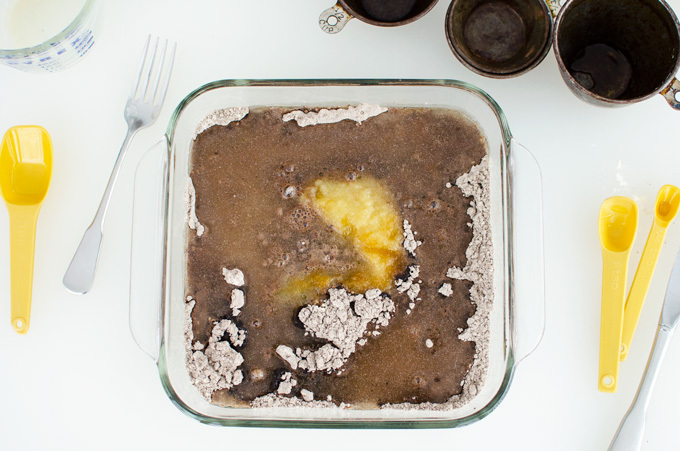 If you make it without the oil you would definitely want to up the apple sauce. Try replacing the oil with an equal amount of apple sauce and see how it works. Let me know how it goes! I was wondering, since this is gluten free. What dark cocoa powder do you use? Hi Bekah – I use Hershey’s Special Dark Cocoa and my daughter (who has a wheat allergy) hasn’t had a problem with it. However, if you need to be very careful with gluten, I have also used Anthony’s Organic Cocoa Powder – which is certified gluten-free and very tasty. Hi Rita – while cocoa powder itself does not contain gluten, if it’s processed in the same facility as products that do contain gluten it could contain trace amounts. So depending on your level of sensitivity, you may need to look for cocoa powder that is labeled gluten-free. Do you have to use xanthan gum ? is there a substitute for this? Thank you!! I am going to try it out soon and the avocado frosting as well. Hi Carrie – my daughter has a wheat allergy rather than a gluten intolerance and she doesn’t have any trouble with the flour I recommend in the recipe ingredients. I believe it’s processed in a wheat-free facility.